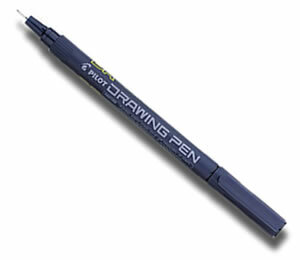 The Pilot Drawing Pens are a favourite for sketchers and watercolourists alike. They have water and light resistant pigment ink and comes in several tip sizes to suit all types of art. The Pilot Drawing Pens are a favourite for sketchers and watercolourists alike. They have water and light resistant pigment ink and come in several tip sizes to suit all types of art. © Copyright Pencils4Artists 2008 - 2019. All Rights Reserved.